ANSON LIM first started playing in a Chinese orchestra back during his secondary school days in Malaysia, as a percussionist. Under the influence of his senior, Anson picked up the yangqin on his own at the age of 16. 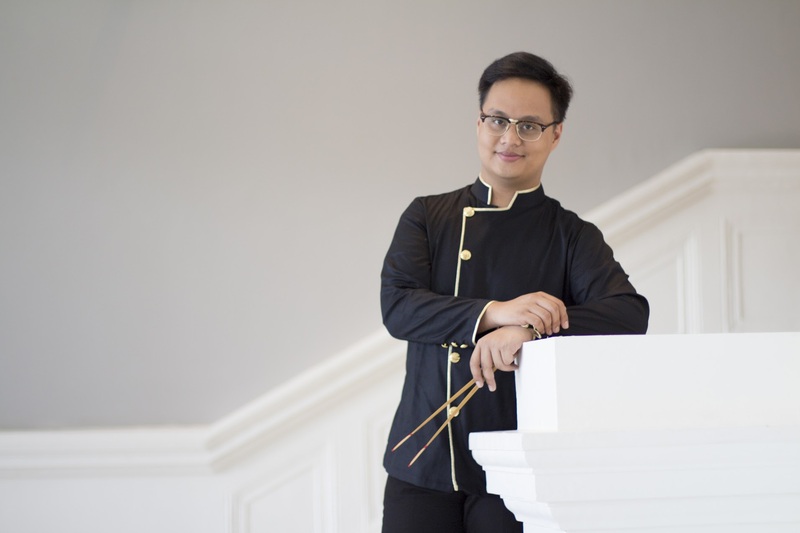 After enrolling into Singapore Polytechnic in 2010, he consequently joined the Singapore Polytechnic Chinese Orchestra as a yangqin musician. It was there where Anson, under the guidance of SPCO conductor and SCO suona musician Lee Heng Quee, staged his first yangqin concerto – “Night Escape of Lin Chong”, in 2011. Since then, Anson has staged one yangqin concerto per year, with notable pieces such as “Phoenix”, “Sunshine on Tashkurgan”, and the most recent one, “Rhapsody” (2016). In 2012, Anson came under the tutelage of renowned yangqin musician and SCO yangqin principal Qu Jian Qing. He then staged his second yangqin concerto with the SPCO, and received grade 9 certification in yangqin, awarded by the Central Conservatory of Music in conjunction with the Nanyang Academy Of Fine Arts. Anson also joined the Cheng San Chinese Orchestra in the same year. In 2013, Anson received his diploma in yangqin, awarded by the Central Conservatory of Music in conjunction with the Nanyang Academy Of Fine Arts. That year, Anson also represented Singapore by attending the Cimbalom World Congress, held in Taipei, Taiwan. There, he premiered the yangqin solo piece, “Dreams”, composed by Sun Ping Yu, a student from the School Of The Arts (SOTA), Singapore. In 2014, Anson joined the then newly-formed Ding Yi Youth Chinese Ensemble, which was set up to compete in the National Chinese Music Competition organized by the National Arts Council. After the ensemble won the category's champion title, Anson officially joined the ensemble as their yangqin musician. During the course of his polytechnic and university studies, Anson has been garnering vast teaching experience, teaching yangqin in secondary schools, community centers as well as giving private lessons.